This multytool features an egonomic handle and can fold up small enough to fit in your pocket . The blades and utensils are a high carbon stanles steel . The high quality construction means the multytool is reliable and ready for use in all those unforseen emergancies. This great outdoor folding multipurpose tool is a combination of variety of tools including knives, screwdrivers, can opener, nail file. Strong yet lightweight, this well designed multi-plier offers the comfortable scratch-resistant wear handle,more safe and durable. 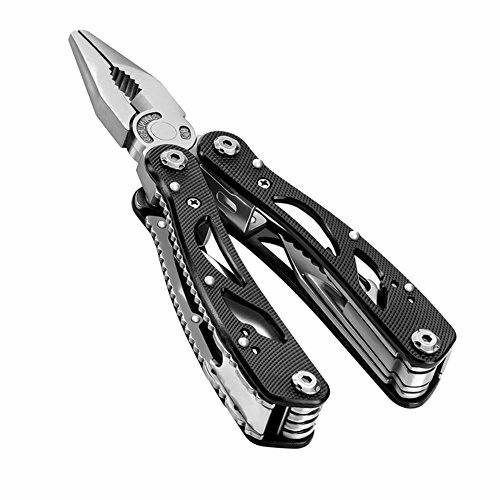 The multi-tool sidekick is available to meet your different need and convenient to open and shut. Save your time and energy. If you have any questions about this product by Atcose, contact us by completing and submitting the form below. If you are looking for a specif part number, please include it with your message.